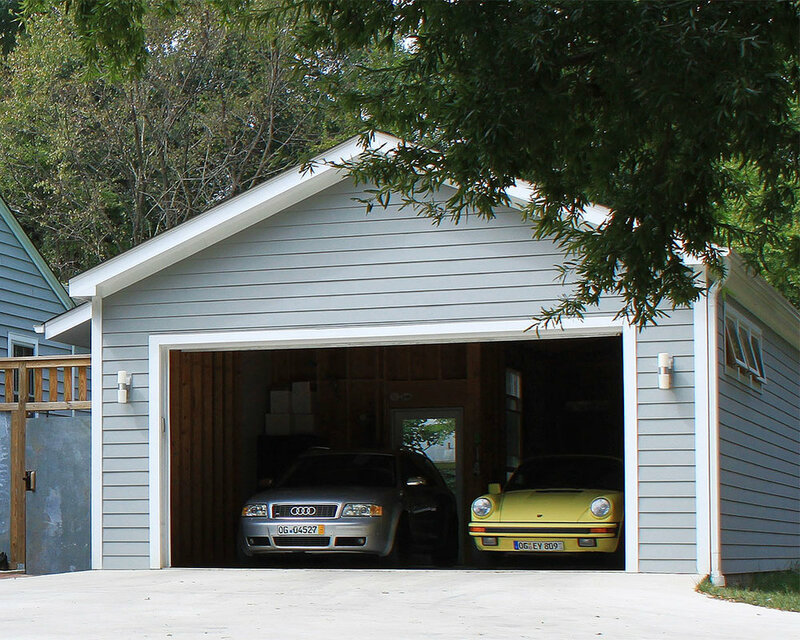 3 CAR GARAGE — TRIPLE AUGHT DESIGN + BUILD. 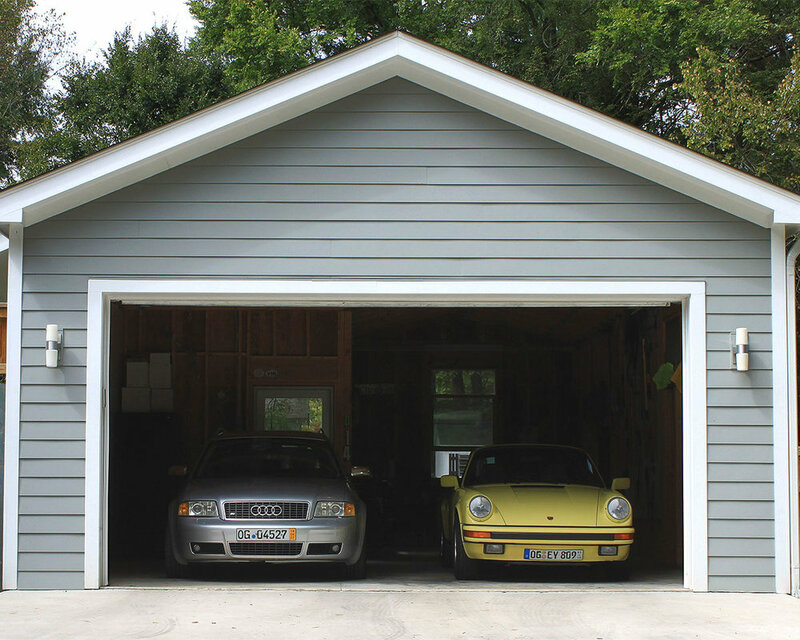 This ‘fits-right-in’ 3 car garage in Carrboro is set back from the front of the home to preserve the building hierarchy. 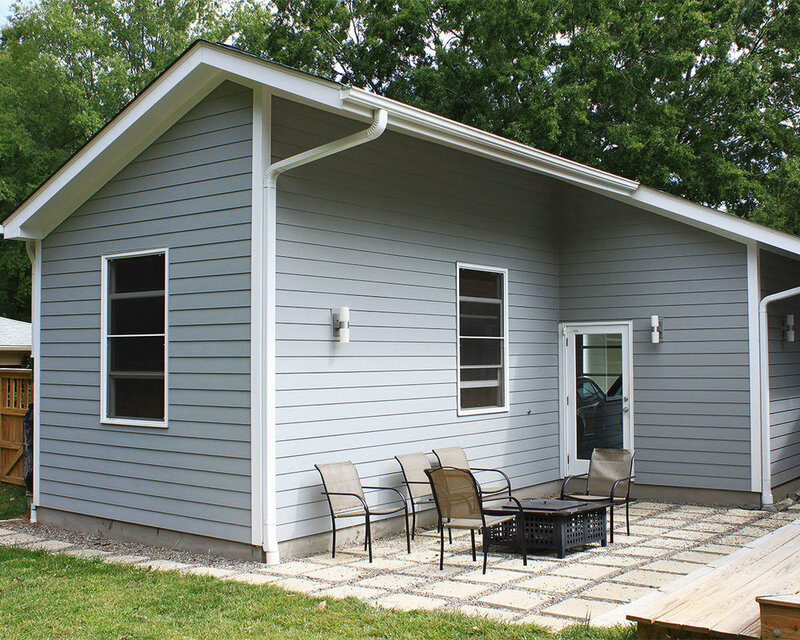 We extended the overhang between the garage and house to provide coverage along the pathway that leads to back courtyard space. An existing, cracked slab was re-purposed by cutting the concrete in to stepping stone pavers with pebbles in between. 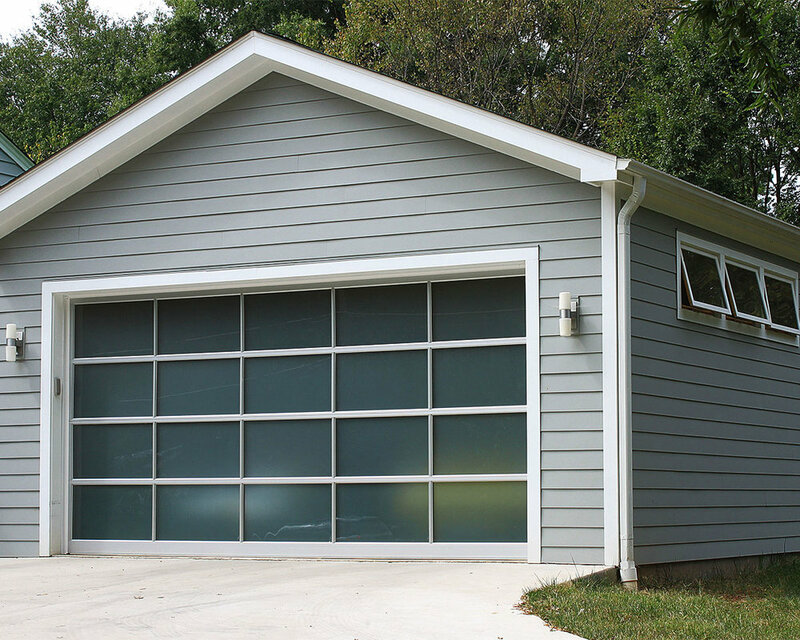 Frosted glass garage door allows light in to the interior as well as provides modern, clean lined aesthetic to the front elevation.